Hello, forex friends! Another NFP report is coming our way this Friday (March 10, 1:30 pm GMT). All NFP reports are important, but the upcoming NFP report is extra special because it is the final NFP report before next week’s March FOMC meeting. And given the recent hawkish rhetoric from Fed officials, expectations for a March rate hike are currently quite high. 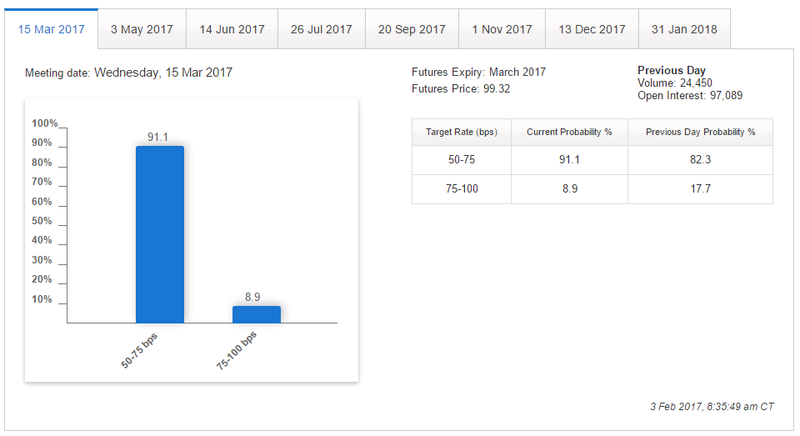 And the upcoming report may either reinforce rate hike expectations or crush it, which is why the upcoming NFP report is extra special. And if you’re planning to trade this top-tier event and need to get up to speed, then you better gear up by reading on my Forex Preview. In my Forex Preview for the January NFP report, I noted that the available leading indicators were mixed, with some pointing to an acceleration in jobs growth and other showing slower jobs growth. However, I also noted that probability appeared skewed towards a downside surprise, since historical trends show that economists tend to overshoot their estimates. Well, it turns out that the leading indicators that pointed to an acceleration in jobs growth were right, since non-farm payrolls saw a net increase of 227K, which is more than the +175K consensus and December’s upwardly revised +157K (+156K originally). Even so, not everything was so great, since non-farm payrolls for November were downgraded from +204K to +164K while October’s reading was further downgraded from +135K to +124K. 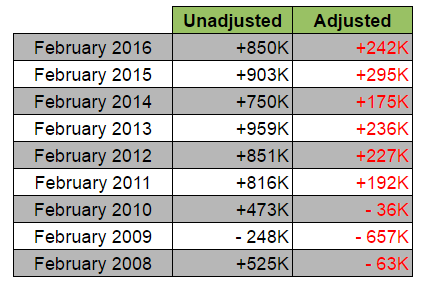 And these downward revisions, together with the upward revision for December, mean that non-farm payrolls increased 50K less than originally estimated. This obviously cast a dark cloud over January’s payroll numbers. Moving on, the jobless rate deteriorated by ticking higher from 4.7% to 4.8%. However, the participation rate advanced from 62.7% to a four-month high of 62.9%, so the uptick in the jobless rate wasn’t that bad. Even so, the number of unemployed Americans still increased from 7,529K to 7,635K, so the U.S. economy was apparently unable to absorb the influx of people who joined or rejoined the labor force, which is a bad thing. As for wage growth, that was sadly a miss, since average hourly earnings only printed a 0.1% month-on-month increase. This is much slower than the +0.3% consensus. Not only that, average hourly earnings for December were downgraded from an impressive +0.4% to a not-as-impressive +0.2%, which was also a real bummer. In summary, the January NFP report painted a mixed picture, but was a disappointment overall, especially the miss in wage growth. So much so, that rate hike odds plunged, with odds for a March rate hike (at the time) falling from 17.7% to just 8.9%. With that said, the Greenback reacted by jumping higher on the better-than-expected reading for non-farm employment, before falling back down again after market players digested the NFP report and concluded that it was actually rather disappointing. For February’s employment situation, the consensus is that the U.S. economy generated 185K non-farm jobs. This therefore means that most economists think that jobs growth slowed from January’s +227K. The jobless rate, meanwhile, is expected to tick back down from 4.8% to 4.7%. As for wage growth, average hourly earnings are expected to come in at +0.3%, a faster rate of increase compared to January’s disappointing +0.1%. Moving on, ISM’s manufacturing PMI jumped from 56.0 to 57.7, which is the best reading since November 2014. However, the employment index for the manufacturing sector actually deteriorated from 56.1 to 54.2. The reading is still above the 50.0 stagnation level, though, so payroll numbers still increased, albeit at a slower pace. This happens to be in-line with Markit’s manufacturing PMI report. Finally, ISM’s non-manufacturing PMI improved from 56.5 to 57.6, the highest reading since October 2015. The employment index for the non-manufacturing sector also improved, albeit not as much, by climbing higher from 54.7 to 55.2. And the details of the report note that “Eleven industries reported increased employment, and four industries reported decreased employment.” And these eleven industries that had increased employment include labor intensive ones, such as Accommodation & Food Services, Retail Trade, Health Care & Social Assistance, etc. Looking at historical trends, the U.S. economy usually sees a large increase in employment. However, the smoothing effect of seasonal adjustments mean that the seasonally-adjusted reading is usually much lower. However, economists tend to undershoot their estimates, so upside surprises are quite common. In fact, the readings for the past seven years were all upside surprises. To sum it up, the available leading indicators are saying that jobs growth from the manufacturing sector slowed down, but jobs growth from the non-manufacturing sector are mixed, since Markit is saying that jobs growth eased while ISM is saying that jobs growth accelerated a bit. In any case, probability appears skewed more towards an upside surprise, given that economists tend to undershoot their forecasts, resulting in frequent upside surprises. Anyhow, just keep in mind that a better-than-expected reading for non-farm employment usually triggers a quick Greenback rally. Conversely, a miss usually causes a quick sell-off. Also, keep in mind that even if non-farm employment is a miss but still above 100K, then follow-through selling is unlikely, unless other labor indicators disappoint, with wage growth usually in focus. By the way, this 100K “floor” is the number of jobs needed to keep up with working-age population growth that’s often being cited by Fed officials, including Fed Head Yellen herself, and is therefore the magic number that’s needed to keep rate hike expectations alive, provided other labor indicators don’t disappoint of course.